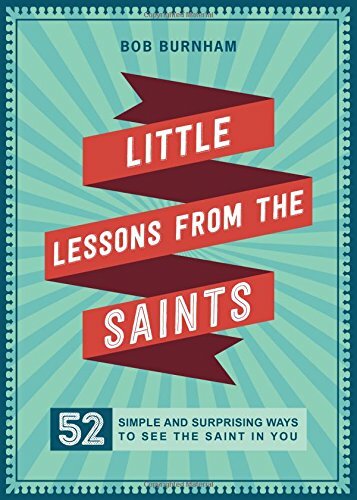 In Little Lessons from the Saints, I skip the typical biographies of the saints and offer instead brief--but powerful--lessons from 52 different saints, each followed by a short meditation. These lessons help us realize that we, too, are called to be saints. Just as the first disciples encountered Jesus after the Resurrection, we are called to share the Good News in our day and age. I share the stories of some of the first disciples and explore what lessons they have for us. I share some lessons from a few of my favorite saints in a charming video series. In Joe Paprocki's blog, Catechist's Journey, I share some of my stories and insights about faith through my vocation as a 9th-grade catechist and as a catechist in the RCIA process. We're saints in the making, though our halos might be broken, dented, and tarnished. I share a few ways to mend and polish our halos.